Conditions of Subcontract for Construction (First Edition, 2011). 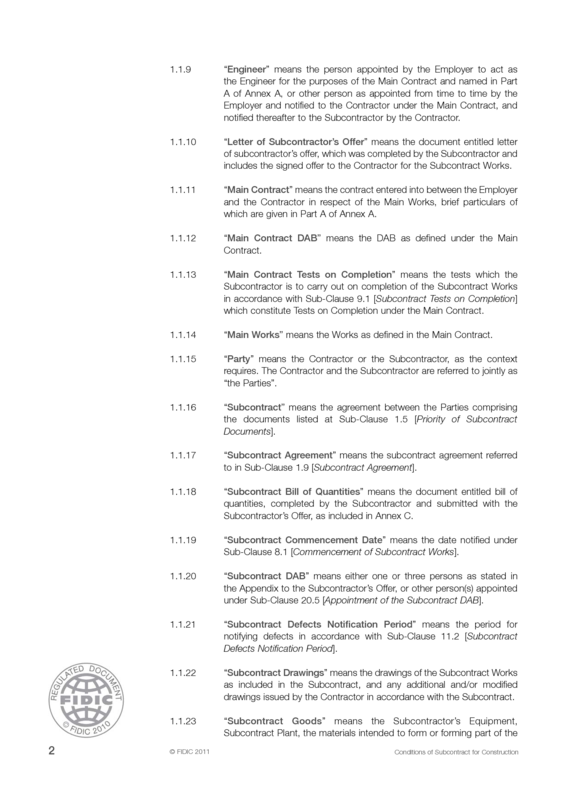 For building and engineering works designed by the Employer. 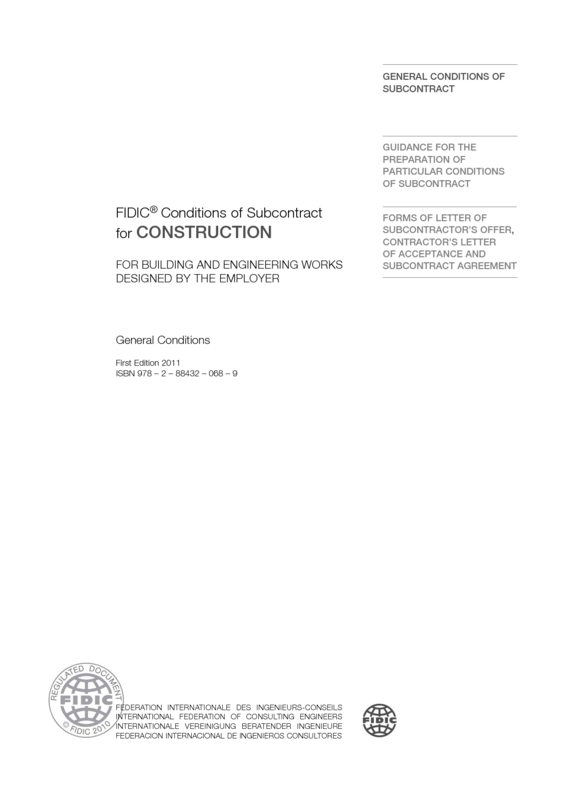 Conditions of Subcontract for Construction (Test Edition, 2009). For building and engineering works designed by the Employer. 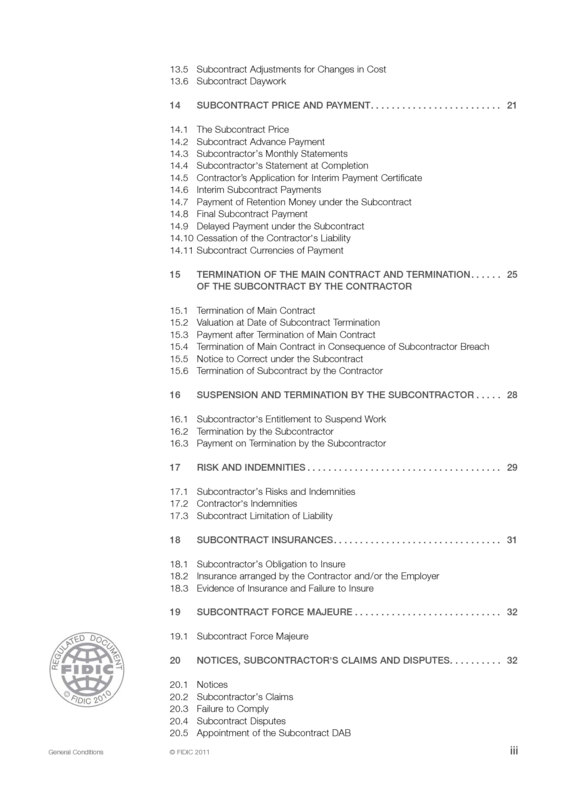 Conditions of Subcontract for Work of Civil Engineering Construction (1st Edition, 1994).